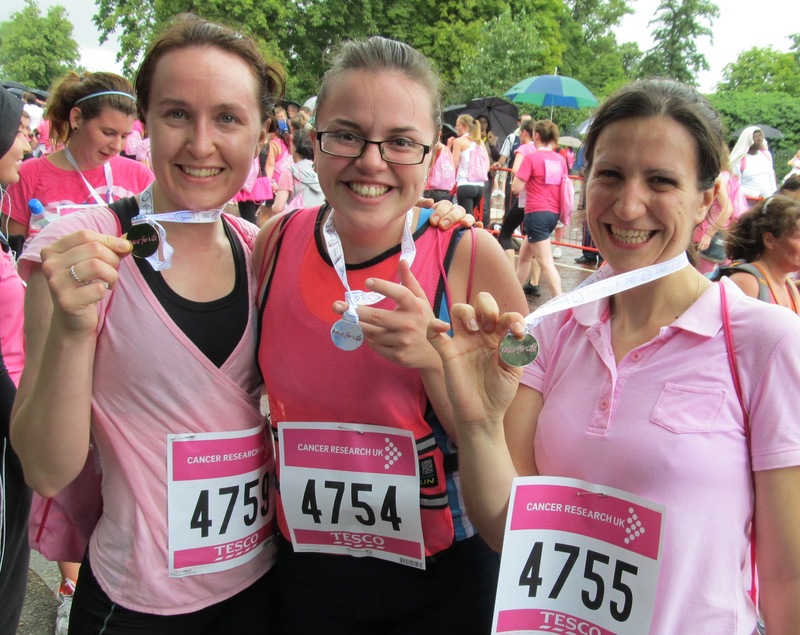 Last Sunday the ten ladies of Blue Flamingo went Pink for a day, and ran alongside 11,000 other women in the Hyde Park Race For Life 5K 2011. In good London fashion, a torrentail downpour halfway through the race drenched all the runners however it was thankfully followed by a (brief!) period of glorious sunshine!